Ryan Suzuki Second-Ranked OHL Star Video Interview. #OHL - Very Barrie Colts | A website covering the Barrie Colts of the OHL. 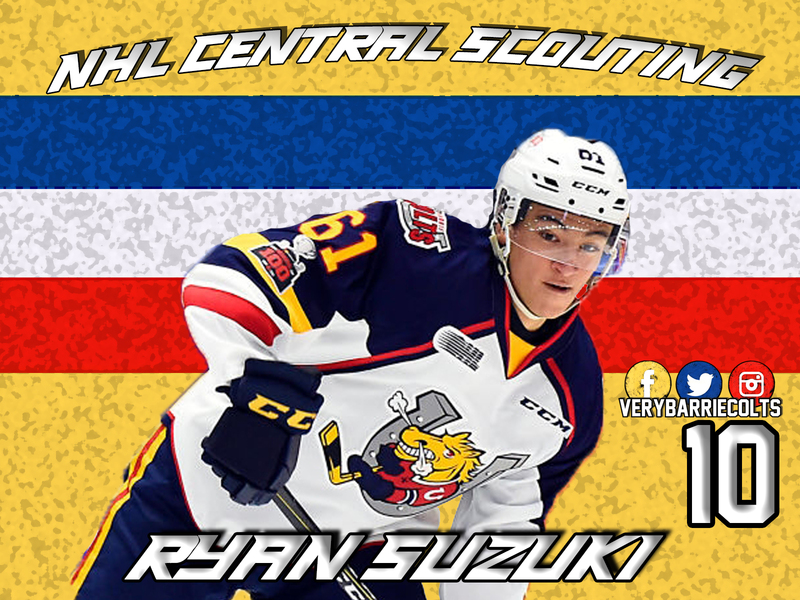 Ryan Suzuki was the second highest OHL ranked player in the Central Scouting mid-term rankings. Suzuki was ranked 10th among North American skaters. Tonight, Suzuki is set to take part in the 2019 Sherwin-Williams CHL/NHL Top Prospects Game in Red Deer, Alberta. He was named an alternate captain for Team Orr. Here is a video interview with Ryan Suzuki headed into the prospect game.